Holiday memories are fading as I get back into the ups and downs of real life. Required to follow a ‘white diet’ for five days because of a fairly standard medical procedure, I discovered just how devastatingly boring it is to exist on white bread, poached chicken or fish, and eggs. All perfectly delicious ingredients if cooked with herbs, and accompanied by savoury vegetables, salads and excitingly spicy side dishes. I found I was happy with a poached or boiled egg for breakfast (I did look longingly at the spinach, or the parsley), but day after day a white bread cheese sandwich, and a plainly steamed or poached piece of fish with a boiled potato, kept me alive but not delighted. It was only five days and I reflected on those who do not have my usual options, or even those who choose these options. 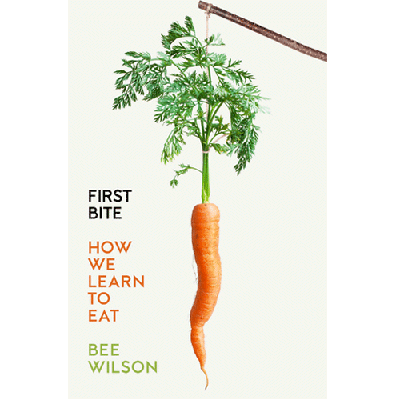 After listening to a podcast on BBC Food I bought a copy of First Bite – how we learn to eat by Bee Wilson, and found it fascinating. It did confirm some of my own most strongly-held beliefs. Firstly that eating is a learned behaviour and as such eating habits can be changed. And that change is most likely as a result of example, enthusiasm and patient exposure to good food. (Just as we are doing with the Kitchen Garden Foundation movement). Broad beans are one of the delights of spring. Enjoy them while they last! They should look moist and crisp, never collapsed and flabby. If you can, select smaller pods. 1kg of fresh beans in the pod will yield about 350g of beans when podded (2/3 cups) and approximately 225g (1 1/2 cups) after double peeling. To do this, the beans are first peeled from the shells, immersed in boiling water for 30 seconds, then quickly run under a cold tap to cool. You nick the outer skins with a fingernail and flip out the green bean within. It is a very time-consuming task, but the beans are virtually cooked by the time the skins are off. Here are four delicious broad bean recipes perfect for making use of a bumper crop.